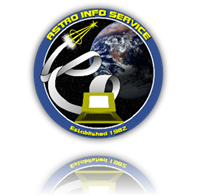 The aim of Astro Info Service, is to present the most accurate and informative no-frills data on the history, development and operations of human space flight. AIS is committed to promote, inform, educate and explain how and why we go into space, what we do when we are there and how space exploration benefits us all here on Earth. We remain focused to deliver this knowledge to younger generations who are the space explorers of our future. Our website features details of our publications and other items which can be purchased directly from our on line shop as well as information on our education and lecture programs. The website features a range of reports, background information and important anniversaries. We deal primarily with human exploration of space and its interaction with robotic space exploration and our site reflects that activity and history. Books A portfolio of titles by leading publishing houses have been written by Dave Shayler either as solo projects or co-operative ventures with other authors. These books have been published by Ian Allan, Salamander, Hamlyn/Heinemann, Egmont, Apogee and Springer-Verlag/Praxis. Publications The first release from AIS in 1982 was a privately published book on the 1963 NASA Group 3 astronaut selection. Since that time, we have produced a range of specialist publications on various aspects of human spaceflight. Audiovisual We offer a range of audio CD's (originally released as audio cassettes) featuring extracts from official NASA mission commentary and press conferences and an expanding collection of other discs in CD and DVD format. Education AIS is fully committed to supporting space education. Between 1999-2010 we delivered a range of show and tell presentations, participation workshops and course work support for all levels of UK education from early years through university and adult learning. Our program supported STEM (Science,Technology, Engineering and Math's) activities and covered various aspects of science, technology, math's, literacy and most sections of the current UK curriculum. Our education programme is currently under review. After dinner speaker Dave Shayler is a published author with over 25 titles and offers interesting, informative and humorous talks that will entertain any formal or informal dinners for professional groups, companies and social gatherings. Consultancy With over 45 years experience in the research and documentation of human spaceflight Dave Shayler offers authoritative and informative consultancy work suitable for companies, authors, various media and the general public. Dave has completed research trips to the United States and Russia as well as work with media organisations such as BBC, Channel 4 and Sky News and featuring on local radio stations in the UK well as radio networks in Australia, Canada, New Zealand, Russia and the United States. Over the years Dave and Astro Info Service have co-operated with several science based museums and AIS is always willing to discuss support and consultancy work with educational establishments and science and technology centres. Our work has included co-operative ventures, lectures and workshops with ‘The Star Centre’ in Keighley, ‘National Space Centre’ in Leicester, ‘The Dudley Museum’ in the West Midlands, ‘Ironbridge Gorge Museum’ in Shropshire, The Gunpowder Museum at Waltham Abbey and at ‘RAF Cosford Museum’ Nr Wolverhampton. In 2014, Dave served as a member of the advisory committee for the London Science Museum in preparation for their 'Cosmonauts Birth of the Space Age' Exhibition held during 2015 and 2016. Co-Authorship in addition to solo writing projects, Dave has participated in a number of co-operative ventures in article and book writing. He welcomes discussions on any future co-operative projects with other authors.